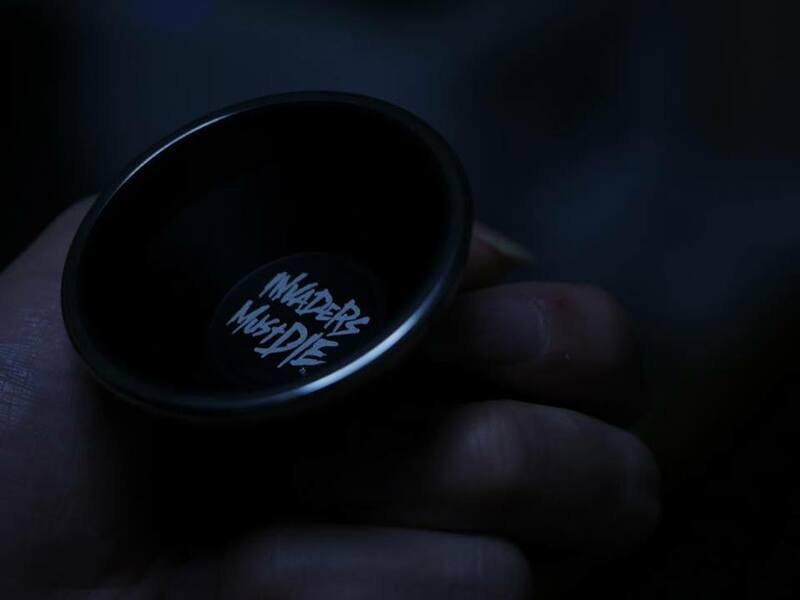 Yoyorecreation has announced a second bimetal yoyo for their “Rebellion” budget line, this one called “Invaders Must Die”. Seems like between “Start The Riot” and now this, the names for the Rebellion line are getting weirder and more awesome! 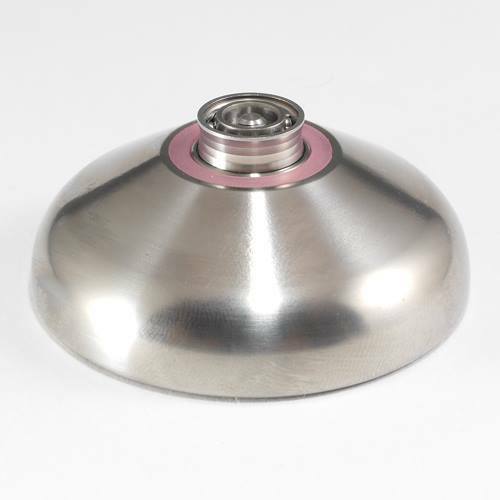 And hey, another bimetal from Yoyorecreation doesn’t sound like a bad thing at all. Check it out in the hands of the always amazing Tatsuya Fujisaka. Yoyo used is Invaders Must Die by Rebellion. YoYoRecreation’s currently got an amazing team, and we get excited every time they release a new video. This one features Tatsuya Fujisaka and Hiro Irifune, once again making modern yoyoing look really damn good. 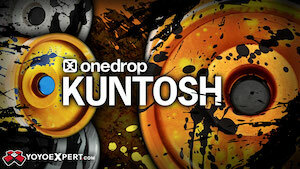 Yoyos used are the YoYoRecreation Dazzler and Sputnik. Look, I know there’s a full minute of amazing stuff in here, but if it’s all the same to you I’m just going to watch that first trick a hundred more times. Daaaaaaaaaamn. 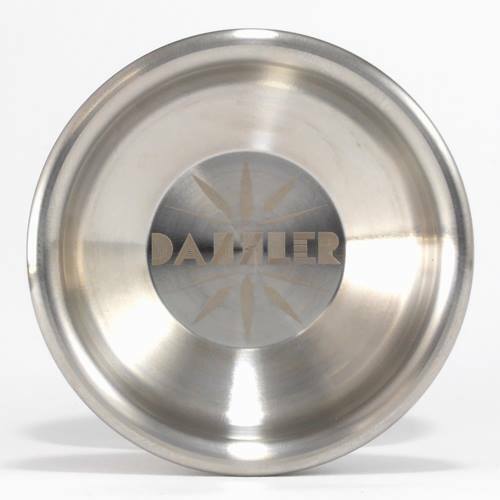 Yoyo used is the Dazzler by YoYoRecreation. YoYoRecreation put together a solid video of their team at the 2013 World YoYo Contest…beautifully shot and edited, and top-notch play from one of the best contest teams in the world! Featuring Yusuke Otsuka, Izuru Hasumi, Ryota Ogi, Iori Yamaki, Yasuki Tachibana, Minato Furuta, Naoto Okada, Tatsuya Fujisaka, Akitoshi Tokubuchi, Samm Scott, Ahmad Kharisma, and Ryosuke Iwasawa, with a special appearance by the Rosen Plaza carpet. 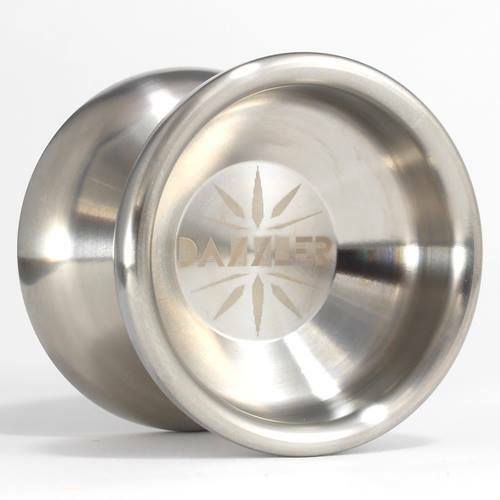 YoYoRecreation is finally releasing the Dazzler, their titanium yoyo based on the shape of the first edition of their popular Stargazer yoyo. 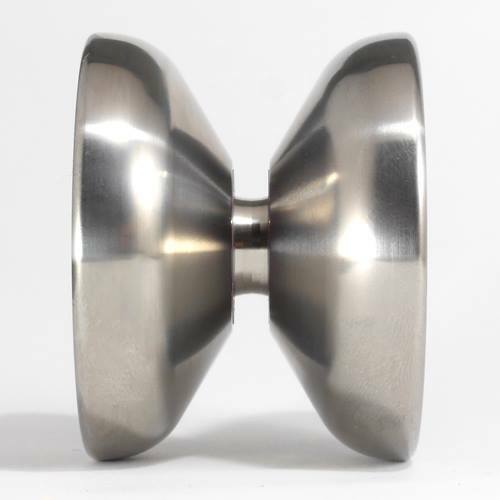 28spin.com posted some great pics and specs, although their claim that this is the “first ever full titanium yoyo made in the world that looks good and performs for competitive play” is bold (and totally unfounded) marketing copy. There have been plenty of titanium yoyos made, and they all seem plenty capable of high-level competition play. I daresay they were all pretty damn good looking, too. If my currency convertor is correct, this is going to retail for about $650 USD. Full specs and pictures are below, as well as video of the Dazzler in action with YoYoRecreation player Tatsuya Fujisaka. 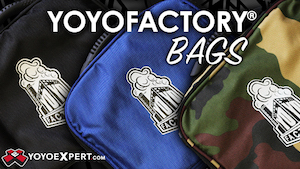 YoYoRecreation has posted a couple of great teasers of what we can expect from their team at the 2013 World YoYo Contest…and it looks like we can expect a lot! Check out some great tricks from Tatsuya Fujisaka and Minato Furuta below. The Nagoya-based CBC TV has a niece piece on Japan Nationals, held in the city last week. There’s some of the usual “the yo-yo is not what it used to be”, but there are some quite interesting bits on Tatsuya Fujisaka and Izuru Hasumi’s lives outside of yo-yoing. A rare glimpse into the production and development of YoYoRecreation products is also provided, with a brief visit to the machine shop, and a close look at YoYoRecreation’s titanium yo-yo prototype, complete with Tatsuya Fujisaka testing a freshly-turned piece wearing his everyday suit. Japan National YoYo Contest – Day 1 Results! Day 1 of Japan Nationais is over in Nagoya! A few of the crowd favorites did not make it, but there are plenty of big names competing for the national title! In 1A, the favorite is no doubt the current world champion Hiroyuki Suzuki, but team C3’s newest addition, former world champion Shinya Kido, and former national champions Tatsuya Fujisaka and Ryosuke Iwasawa won’t make Mickey’s life easy. 2A also sees the current world champion, Shu Takada, facing a former world title holder, Takuma Yamamoto, and a former national champion, Ryo Yamashita. More former world champions will battle it out in the incredibly strong 3A division, with Kentaro Kimura facing Minato Furuta. Even more world champions face off in the 4A division. 2012 world champion Rei Iwakura will have a tough time ahead competing against Naoto Okada and Tsubasa Onishi. Finally in the 5A division, you got it: another world champion! Takeshi Matsuura is the sole world title holder and by far the favorite in this division. YoYoRecreation dropped this great video of their team showing off at the North Japan YoYo Contest…there is some top-notch play in here! Featuring Izuru Hasumi, Sojun Miyamura, Tatsuya Fujisaka, Kentaro Mannen, and Takahiro Iizuka. Videos are starting to show up following the 2013 East Japan Yo-Yo Contest. 1st (Tatsuya Fujisaka) and 2nd (Shinji Saito) in 1A videos are here. Note – Shinji Saito is not only amazing in 2A but has some equally amazing tricks in 1A. Very impressive freestyle! For the full results from the contest by division see our previous post here.